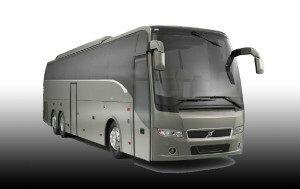 We have the finest Party Bus Rental Miami has to offer you. If youre looking for luxurious party buses in Miami, FL rent a party bus from us and youll never feel the need to call any other party bus rental Miami. Book your Miami party bus rental with us well ahead of time or you could miss out. Even though we’re an affordable, some would even say a cheap party bus rental in Miami, we are definitely the most sought after, elegant party bus rental company in Miami, Florida, period. Just take one look inside before you rent our party buses and you’ll not only know the difference but expect it in a party bus rentals company in Miami, for Bar & Bat Mitzvahs, Bachelor & Bachelorette Parties, Miami Proms & Sweet Sixteen Parties, and most definitely we’re the premier Wedding party bus in Miami, FL. Our Miami party buses have the availabilities to accommodate up to 50 people seated and have fully stockable bars, with a bartender. All our limo buses come with high end sound systems, lightshows, LED flat screen TV’s. We give you a royal welcome. We make you feel relaxed, well cared and extra special. We know Miami like nobody else. Our drivers are not just top of the line experts who are here to serve your needs perfectly. They are here to give timely, remarkable, sheltered and effective support to you all the time. We provide you with an efficient and flexible service. We arrive before the actual arranged time and sit tight for you till late if needed. We benefit a wide range of clients from prominent personalities and corporate executives to rock stars and high school teens. re you’re always safe and satisfied.